Polypropylene. 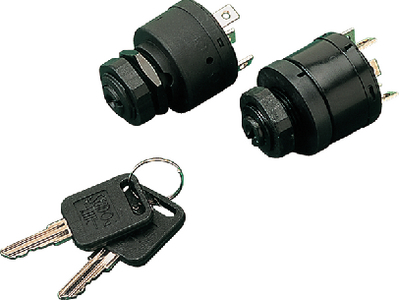 Rated: Ignition 15 Amp @ 12VDC, Solenoid 30 Amp @ 12VDC, Choke 7 Amp @ 12VDC, Accessory 15 Amp @ 12VDC. Note: Push to choke.